An international group of researchers from the University of Minnesota, Argonne National Laboratory and Seoul National University have discovered a groundbreaking technique in manufacturing nanostructures that has the potential to make electrical and optical devices smaller and better than ever before. A surprising low-tech tool of Scotch Magic tape ended up being one of the keys to the discovery. One of the potential uses of nanometer-scale gaps in metal layers is to squeeze light into spaces much smaller than is otherwise possible. Collaborators at Seoul National University, led by Prof. Dai-Sik Kim, and Argonne National Laboratory, led by Dr. Matthew Pelton, showed that light could readily be squeezed through these gaps, even though the gaps are hundreds or even thousands of times smaller than the wavelength of the light used. Researchers are very interested in forcing light into small spaces because this is a way of boosting the intensity of the light. The collaborators found that the intensity inside the gaps is increased by as much as 600 million times. 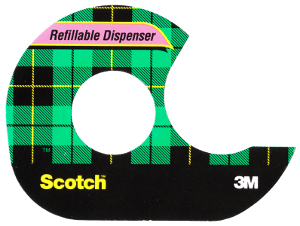 One of the most surprising outcomes of the research is that Scotch Magic tape was one of the keys to the discovery. Etching one-nanometer-wide gaps into metals is not feasible with existing tools. Instead, the researchers in Oh’s team constructed the nano-gaps by layering atomic-scale thin films on the sides of metal patterns and then capping the structure with another metal layer. No expensive patterning tools were needed to form the gaps this way, but it was challenging to remove the excess metals on top and expose the tiny gaps. During a frustrating struggle of trying to find a way to remove the metal films, University of Minnesota Ph.D. student and lead author of the study Xiaoshu Chen found that by using simple Scotch Magic tape, the excess metals could be easily removed. April 17, 2019 - Institute for Protein Design wins $45M in funding from TED’s Audacious Project GeekWireThe era of engineering proteins for medical applications just got a lot closer, thanks to a five-year, $45 million grant given to the Institute for Protein Design.